The Bulletin, special number, Sydney, 29 January 1910. Printed on paper with stapled binding. Dimensions: approximately 400mm high x 300mm wide. The Bulletin was published in Sydney from 1880 to 2008. 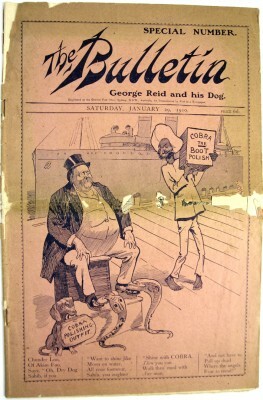 During The Bulletin’s heyday from 1880 to 1918 it dictated the debate in Australian culture and politics. In the 1960s it was resurrected as a current affairs magazine until its final issue on 23 January 2008. The Bulletin was founded by two Sydney journalists, J.F. 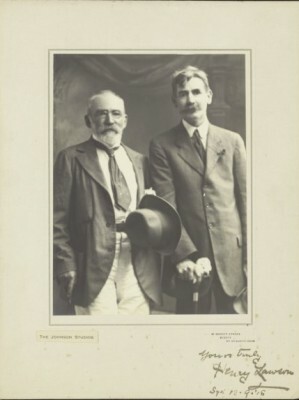 Archibald and John Haynes. The first edition was published on 31 January 1880 that ran political and business opinion pieces and popular fiction. Between 1880 and 1918 The Bulletin cruelly lampooned colonial governors, business leaders, the bourgeoisie, the church, feminists and prohibitionists. It supported the labour movement, Australian independence, liberal democracy and White Australia. It ran extremely racist cartoons attacking Asians, in particular Chinese and Japanese, along with Indians, Pacific Islanders and Jews. It was offensively mocking of aboriginal people. 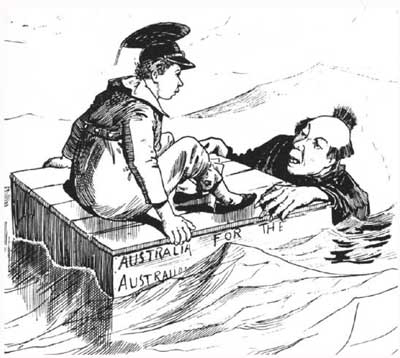 The Bulletin’s banner, ‘Australia for the White Man’ became a national political slogan. It was hugely popular with rural bush workers and selectors and became known as ‘the bushman’s bible’. 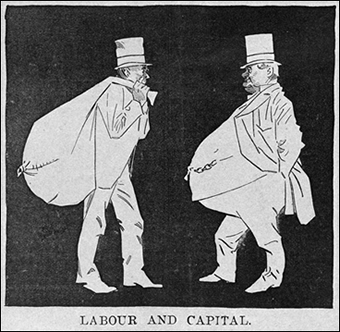 The Bulletin tapped into popular themes of the nobility of the Australian working man living a frugal life bring wealth to the nation through honest hard work while rich businessmen prospered using cheap labour and goods imported from Asia or indentured labour ‘blackbirded’ from the Pacific Islands. The Bulletin also exploited the popular theme of the nobility of suffering. Themes that have permeated Australian culture since Castle Hill convict uprising, the Eureka Stockade and Lambing Flat riots. These themes and grievances would drive the violent 1891 and 1894 industrial disputes that spread across the shearing, mining, maritime and railway industries during the drought and economic depression of the 1890s. The Bulletin fostered 19th century Australian bush culture that underpinned the celebration of the Australian bush. Archibald opened The Bulletin to contributions from its readers in 1886, featuring poetry, short stories and cartoons contributed by miners, shearers and timber-workers from all over Australia. Some of this content was high quality and many of Australia’s important writers had their start with The Bulletin which became know as the ‘Bulletin School’ of literature. Editor, Alfred Stephens, fostered the ‘Bulletin school’ of Australian culture. 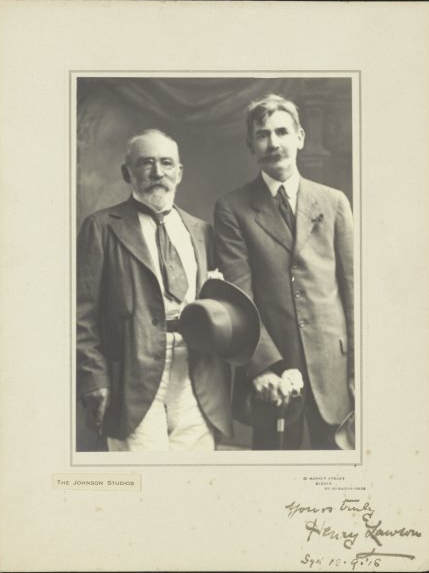 Henry Lawson, Banjo Paterson, Miles Franklin, Harrison Owen, Robert Kaleski and Vance and Nettie Palmer contributed pieces along with artworks and cartoons by Livingston Hopkins, David Low, Phil May, D. H. Souter, Norman Hetherington, and Norman Lindsay. Archibald retired in 1907, and afterwards The Bulletin became more conservative, so much so that by the Great War it had become openly pro- Britain and empire. This signalled the end of its popularity and influence in Australian culture and politics and its gradual decline. By the early 1930s its pre-war attitudes and its romanticisation of the bush was seen as anachronistic by a now largely urbanised population. By the 1940s The Bulletin was seen as a sad reactionary, racist and antisemitic relic that had become a self parody. In 1961 The Bulletin was sold to the media baron Sir Frank Packer, who appointed Donald Horne as its chief editor. The magazine was modernised and ‘Australia for the White Man’ banner was jettisoned from its masthead. 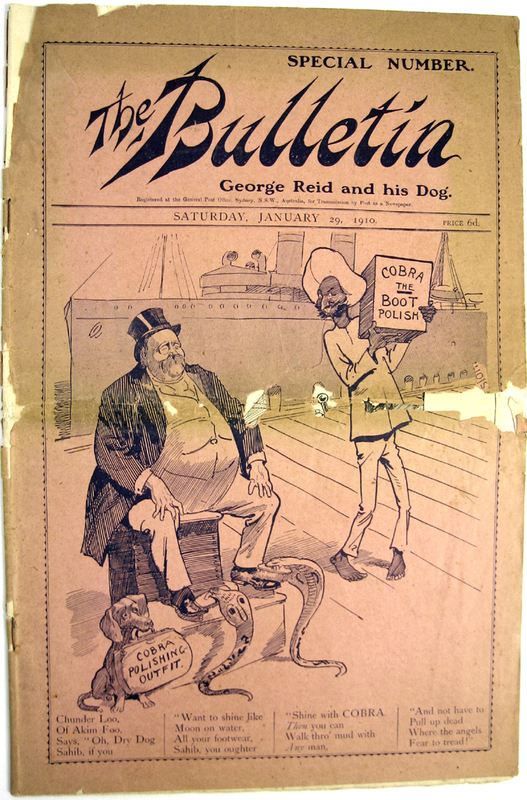 Under Packer The Bulletin remained politically conservative, but rejoined the political and journalistic mainstream as a well-produced magazine that was modelled on Time magazine. It ran political and finance news and opinions, with occasional fiction pieces without the bile and racism of its former years. The Packer family’s Australian Consolidated Press (ACP) absorbed the magazine’s financial losses as a trade off for the prestige of publishing Australia’s oldest magazine. It was published as a dual publication in conjunction with Newsweek in attempt to recoup costs. The Bulletin online was established in the early 2000s, publishing extracts from the magazine and exclusive web content, image galleries, an archive of past covers and a comments blog known as ‘The Bullring’. As what can be seen as a nod to the Archibald Art Prize, The Bulletin Magazine also founded the Smart 100 Awards that identified most innovative and creative people working in Australia at the time. On 24 January 2008, ACP announced the closure of the magazine. Magazine sales had declined to 57,000 copies compared to 100,000 during the 1990s and despite ACP’s financial and human resources the magazine was no longer profitable. The loss in readership was attributed to changes in the Australian media and the increasing popularity of online popularity and development of technology. 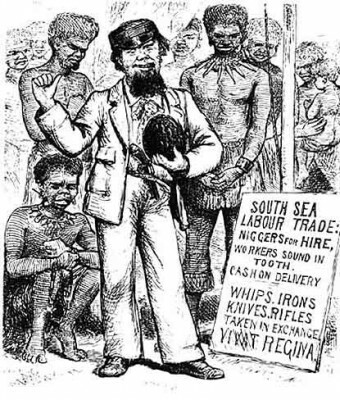 The Bulletin is historically significant as evidence of 19th century Australia colonial society with its bush-centric, masculist, radical and racist culture. The Bulletin has interpretive significance that enables us to look back into Australia’s past and examine colonial attitudes, myths and social mores. Blainey, G. The rush that never ended: a history of Australian mining, Melbourne University Press, 1978. Clark, M. The History of Australia, Melbourne University Press, 1993. Coupe, S. & Andrews, M. 1992, Was it only Yesterday? Australia in the Twentieth Century World, Longman Cheshire, Sydney. Jones, K., Mellefont, J. Sedgwick, S. & Thompson, S. ‘Navigating Federation’, Signals, No 53. Australian Nation Maritime Museum, Sydney, January 2001, pp: 4-7. Reeves, A. Another Day, Another Dollar: Working Lives in Australian History, Murdoch, Melbourne, 1988. Rolls, E. A Thousand Wild Acres, Australia, 1990. Thompson, S. For a colonial and adventurous spirit: Migration, Settlement and Federation on the Murray Darling Rivers, Migration Heritage Centre NSW, Sydney, 2010.